Avon Leadership means that you can appoint new Representatives as part of your team and help them achieve their sales goals. When you mentor others, not only will you be earning a percentage of your own sales, but you will also earn a percentage of the sales that your team achieves.Anyone can become an Avon Leader, whether you are an existing Representative or if you are joining Avon for the first time. Unlimited Opportunities to help you create a sales team of your own, If you are interested in an earning potential we can help show you the way. Would the chance to have an extra earnings opportunity make a difference to your lifestyle? Do you have unfulfilled people management skills which you would love to employ straight away? Are you ambitious, like meeting people and want to run your own business? AVON sales leadership is all about network marketing and creating opportunities for yourself and your new representatives, who could also become potential “down line” sales leaders for you in the future. Sales leadership is AVON’s way of rewarding those who not only sell and serve customers successfully, but recruit, train, coach and help others to do the same. 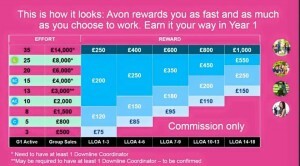 Avon makes it possible for you to live the life you deserve ! We will support you with a plenty of training tools, You will receive a full training and your upline leader will be looking after you and support you all the way. You will get all the necessary materials and brochures for the first 2 months to help you build your team without any extra costs. What’s more, if you choose to become a leader when you first join Avon, you can earn bonuses every time you reach an achievement level on top of your regular earnings. With Avon Leadership the earning potential is unlimited – it all simply depends how much time you’re prepared to put in and how hard you will work. 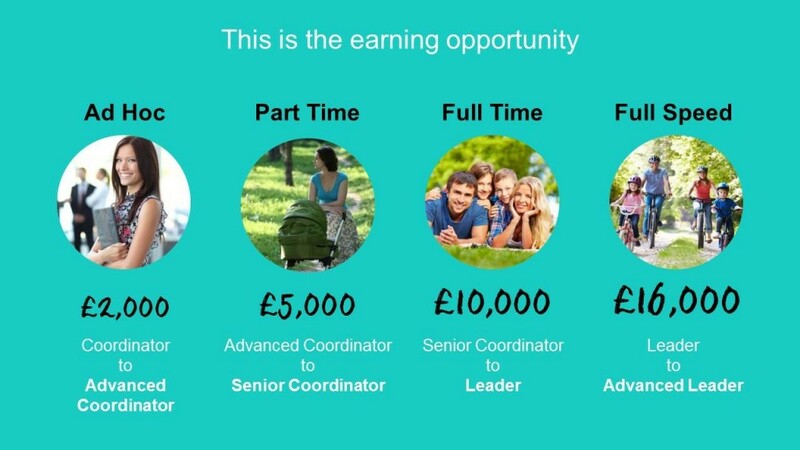 Avon Leadership bonus system also means You will be rewarded for mentoring and developing others in your team – so the better your team members do, the more bonuses and earnings you will receive! It’s easy to get started with Avon Leadership – simply apply to become a Representative online and you’ll also have the opportunity to become a leader. 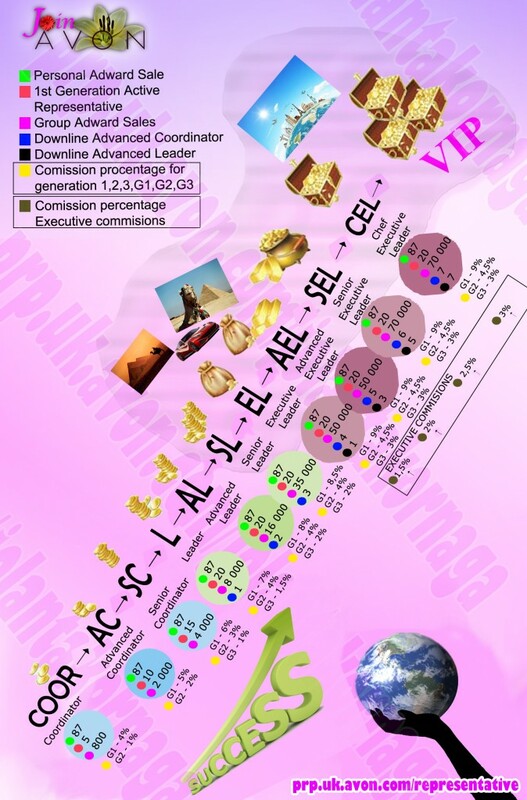 The new Advanced Leadership structure consists of 12 titles split across 4 levels: Coordinators, Leaders,Executive Leaders and VIP. Find out more about title qualifications and the improved commission structure.